Here you can find the most frequently asked questions about prepaid electricity for potential customers. Ask before making the right decision. Q: How fast can we turn on the power in your home? A: Usually it takes about 3 hours, although it could be more or less. We have heard of clients whose electricity was up and running in less than 30 minutes. It all depends on how busy the grid is. If we received your call after 5:00 pm CST, then the power will be connected by the next business day. Q: Do I have to make an extra payment if I need to be connected the same day? A: No. The priority service or same day connection fee is FREE with your initial payment. In DFW ONCOR, CenterPoint (Houston Area), AEP North and AEP Central, it is FREE to connect the same day! Misfortune for TNMP area, they have a $64 connection fee for all new accounts. Ask for other money-saving plans and even bigger savings. Up to 23% from regular plans. Updated 2017. our kWh rate is 10.4 Cents prepaid, 7.9 cents postpaid, Centerpoint, or get $100 in FREE ENERGY. A: It’s very simple. We will send you a text message showing our Customer Care number (888 509 7251) and all you need to know about your account, including the balance, usage and approximated usage left. A: A monthly statement will arrive to your mailbox, if you opt for paperless, you will get an email every month. Q: How long does it take to turn the power on? A: For new customers with regular connection it will take 3 business days. In the case that you need SAME DAY SERVICE, we can rush the order and connect your energy service the same day for FREE. This applies for requests received before 5:00 pm CST, Monday-Saturday. Q: Is the prepayment a deposit? A: No. Electricity Express policy is to use the money you paid towards power you will actually use. Prepaid is not a deposit. Postpaid deposit is not determined until a credit assessment is performed, if no credit check is in place , yes, a deposit will be required. Q: Why do postpaid companies ask for a deposit? Prepaid Vs. Deposit. A: This a way companies make sure you stay with them for a long time. If you leave and break the contract they will then charge you a penalty out of the money you put down as a deposit. There are more reasons but this is the main one. 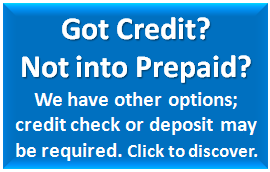 With Prepaid we will never ask for a deposit, we ask you to buy the energy in advance. A: Remember that with prepaid energy we won’t run your credit or ask for your social security or driver licence numbers. These things are not needed to establish your electricity with us. If the customer ask for postpaid electricity service, a credit assessment will be performed, and for this the social security number or ITIN # will be asked. Electricity Express has been in the industry for many years and we have many security measures, so that the information that the customer provides does not go out or is sold to third parties for marketing purposes, we understand how difficult it is to establish credit and we would not risk our work and reputation by leaving behind information of our customers. Q: What is “true electricity“? A: This means that after we receive daily meter readings for all of our customers, you are billed for exactly what your kilowatt usage was. Some postpaid power companies use the historical usage to bill you, meaning that if you were not living at this premises last year you will then be billed for what whoever was living there was using a year ago. The postpaid electricity companies are affiliated with will not do historical usage data research, you will be billed for what you used. Contract Fix Rate Plans will send you a statement telling you how much you are using in the period. We know that reading a energy bill is not easy, we can help you understand what each detail in your bill means. A: Flex-Pay is a way to break up large payments so that you can budget your power and finances. With Electricity Express you don’t have to wait for a bill to arrive at the end of the month which then must be paid by the beginning of the next month when your largest bills are due. With Flex-Pay you can make several payments during the month, enabling you to decide when to make your electricity payments. Q: Where can I pay my bill? A: We suggest making payments without any additional charge either online or by phone using our automated system. We are in many bill payment locations, including Fidelity Express, ACE Cash Express, PLS, and most 7-Elevens. Check out this tool to find your nearest payment center. Q: I need a statement for address verification purposes, how can I get it? A: With our GREEN philosophy we do not send paper bills, however, you receive an energy usage text or email notification every day, if you need proof of residence you can request a statement and we will send it to you via email and so you can print and show. This is free of charge, just call #ElectricityExpress – to our Customer Care number (888 509 7251) or the number on your message during business hours, this must be requested by the account holder, otherwise we will not provide any information, this is to secure the customers information. With Postpaid energy services you will get a monthly bill. Q: Besides the kilowatt hour I’ve been quoted, what other fees should I expect? A: Electricity Express wants to make things simple and hassle free, our bilingual sales department will explain you what is a bundled price, this means that delivery charges and surcharges are included, this is very important; postpaid companies will quote you the lowest price per kilowatt hour and without telling you the most important charges like delivery charges, FCC, usage, etc. This is how they can come up to 7 or 8 cents per kilowatt hour but when you add all those fees you end up paying a very similar price than us, ad we never asked you your social security number (prepaid electricity). There is a daily service charge of about $0.40 (40 cents) per day, 100% of electric companies charge this. Standard connection is free, no fees for that! Base energy charge is around the $9.95 per month. (depending on the product). A: Electricity Express is a broker that has been in the utility business since 2005, we used to sell home phone, cable, wireless, etc. Promoting electricity since 2008, 5 years ago we found that Payless Power is the best option for no deposit, no credit check, no contract (and more features) energy services in Texas. Since then we have not moved our eyes towards another energy provider, we believe that Payless Power is here to stay and as long as they stay we will. There are a lot of brokers out there that are not truly committed to their provider, #ElectricityExpress is 100% sure that Payless Power does the right thing. For the customers looking for postpaid energy services we got contracts with other magnificent companies like Frontier Utilities, Clearview Energy, Amigo Energy among others. Q: My electricity was cut while I was away and now it’s too late to call customer service, what can I do? A: As explained 4 questions above, make a payment online or through our automated system using your phone, the electricity will be re-established in less than 2 hours, our systems will detect the payment and your power will be back on in no time. Remember to cover all charges and fees. A: In a few words is like this; when a resident lived in certain premises and left an unpaid bill and never notify the electric company he/she was moving out. Since the electric company does not know he/she moved out, they are waiting for a payment or a settlement. The old electric provider will do “as it’s best” to collect such debt. By PUC (Public Utility Commission) it is within the law to apply a SWITCH HOLD in order to keep any other company or electric provider to establish service without their consent so that company have control of the meter and in the case the customer wants to switch providers he/she will not be able until he/she settles the debt. What does all this has to do with you if you are a new resident/tenant? Well, the other electric provider does not know you are a new “move in” or new resident, the SWITCH HOLD on the meter will not be removed unless you can prove that you are a new resident at that specific address. Here is how to remove the switch hold; by now, you must have an account number with us Electricity Express, you will need it and ask for the ESI ID for the premises your are moving in, get to your leasing office or landlord and get a copy of the lease agreement, or CD (Closing Disclosure) if the premises was purchased. It has to be typed, no handwritten or any kind of modifications, all dates and signatures and address must be in order. Ask us, your electric provider, for a “New Occupant Statement” form emailed or faxed and your leasing agent or landlord must fill out. Gather all this, add your account number in all pages and send it to us. Amen. All this is just to be safe with PUC regulations and tell the other company that another provider and resident is moving in.